I can’t even count the number of times that guests on this program have spoken about what’s become known as the Marshmallow Experiments. In conversations ranging from business, to public policy, to personal psychology, the impact of this experiment in determining self control, executive function, the predilection for addiction and even intelligence, has been profound. Walter Mischel started thinking about this experiment when he was in graduate school. 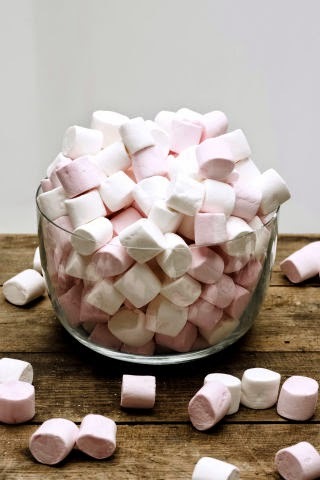 Later, in the 60’s at Stanford, he devised what's become known as the Marshmallow Experiment, to assess the ability of children to delay gratification. Since then, 50 years of in depth research have both enhanced and expanded the scope and knowledge that began with this simple experiment. After all these years, Mischel has written about it in The Marshmallow Test: Mastering Self-Control . We live in an information age. The goal of virtually every App on our phone, and most websites, is perfect information; about the world, about our neighbors, about our friends and about ourselves. So how is it, that with all this information, the world is so much more dangerous. That secrets are sometimes so much deeper, that bad actors, and even good ones turned bad, can often outsmart, out run and out maneuver the CIA, the very agency designed to ferret out those secrets and keep us safe. Even as the very first tenants move into the new World Trade Center, we’ve come to appreciate the importance and value of human intelligence. But those that engage in it are often at risk both from their enemies and their friends. Few understand this better than former CIA operative Valerie Palme. Her life and career was derailed, in public view, as much by friends as by her enemies. Valerie Plame’s career continues through the work and efforts of her fictional alter ego Vanessa Pierson. Pierson made her debut in Blowback, and now she’s back in Burned. The fact is that most politicians and other high profile inhabitants of our nation's capital are just flesh and blood human beings. And yes, they may be different than you and I, they are certainly more caught up in their unbroken series of successful gestures, but most do care about their work. In fact, some care too much. As the late, great journalist Richard Ben Cramer once wrote, that feeling you can make a difference is like a drug. Also a great journalist, Mark Leibovich, has been been giving us great insights about the power players in Washington for the NY Times Magazine. 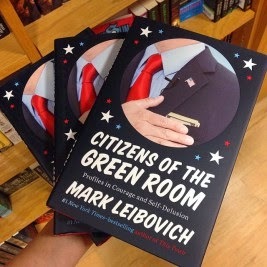 Those profiles are part of his new book Citizens of the Green Room: Profiles in Courage and Self-Delusion . It was actually Winston Churchill, not Rahm Emanuel, who said that we should never let a serious crisis go to waste. But often these problems come out of the blue; in life and in business. When they do, when those pivotal moments happen, it’s the culture, the people, the mission, in short the underpinning of the organization itself, that must become its survival mechanism, as well as the jumping off point for its future. So just as we might prep for physical disasters, why not prepare and build an origination for the stress of those moments. That's one of the lessons from Malachi O'Connor and Barry Dornfeld in The Moment You Can't Ignore: When Big Trouble Leads to a Great Future . Is Word of Mouth advertising driving Black Friday this year? John Wanamaker, the famous department store magnate, once said that he knew that at least half of his advertising budget was wasted. Problem was, he didn’t know which half. For anybody that’s in business today, you know how difficult it is making your product or service stand out among the competition and noise of today’s marketplace. It’s a lot tougher than it was for Don Draper. Advertising is everywhere. Television, radio, billboards, digital, banners, mobile, native advertising, telemarketing, and pop ups. It’s on everything that isn’t implanted into us….and that may be not that far away. So what works. 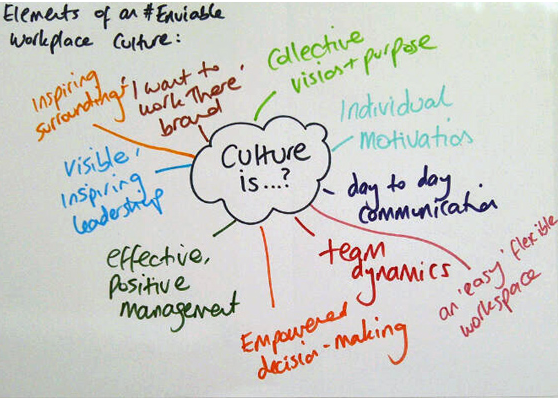 What is, in the buzzword of the day, authentic, effective and creates real Return on Investment? 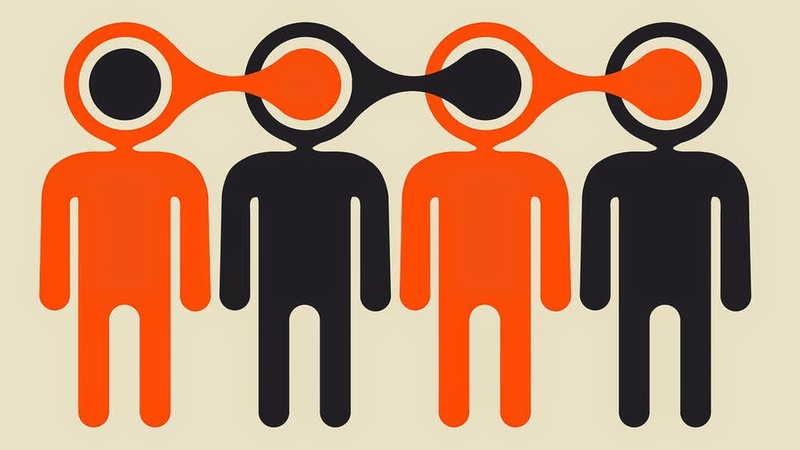 One of the most powerful tools of the marketer has always been word of mouth. Social media and things like Yelp, have only amplified that power. 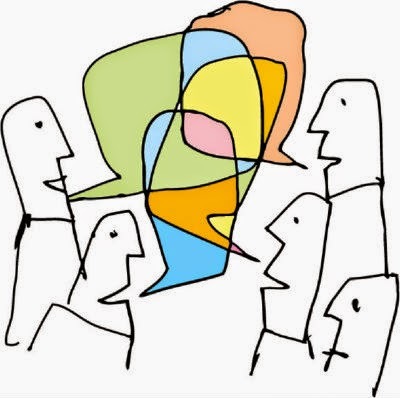 But is word of mouth marketing just some random confluence of events, or can it be shaped, molded and directed in ways that are both authentic, and beneficial to both seller and buyer? Perhaps it’s the idea of 1.3 billion people, or that half a billion have moved out of poverty in such a short time. 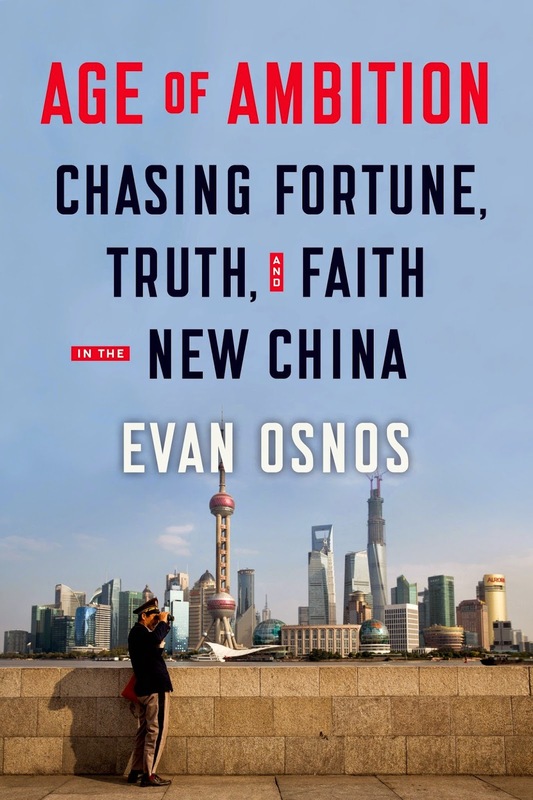 Perhaps it’s that China has moved so rapidly to become the world's second largest economy. Or perhaps it’s the environmental degradation left in the wake of these accomplishments. Perhaps it’s all of these things and more, that often block our view of the humanity of China. Yet it is a nation of individuals. Individuals with personal stories, aspirations and ambitions. People who have learned to deal with the contradictions and disconnects, between a vibrant, 21st Century economic system and a backwards, almost 19th century, political system. Ironic, I suppose that it even sounds a little like the US. Recently we spoke of the 50 Anniversary of Freedom Summer and the early flowering of the civil rights movement. Much has been written of the historical roots and narrative of those events. 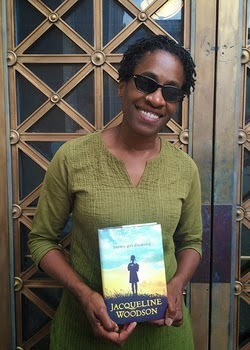 But now Jacqueline Woodson tells her personal story and the larger story of the journey of a movement from the Deep South, to urban core of America. The story of Brown Girl Dreaming is a story made all the more powerful by recent events that bring into focus the arc of that journey. A journey that ended short of its target. This is all part of the unique work of Princeton Professor Daniel Cloud in The Domestication of Language: Cultural Evolution and the Uniqueness of the Human Animal . There is virtually no aspect of life today, not impacted by the internet. From setting the thermostat in our house, to the games we play, to the way we connect, to the collection of intelligence on America’s friends and enemies. It’s no surprise then that the very core of America's military and its defensive capability, is also wrapped up in the world of cyber warfare and cyber security. But at what cost? While Eisenhower may have admonished us to beware of the military/industrial complex, today a military/internet complex has grown even larger, and as the Snowden revelations tell us, it may have seeped into every aspect of our lives. This is the world that Shane Harris exposes in @War: The Rise of the Military-Internet Complex . 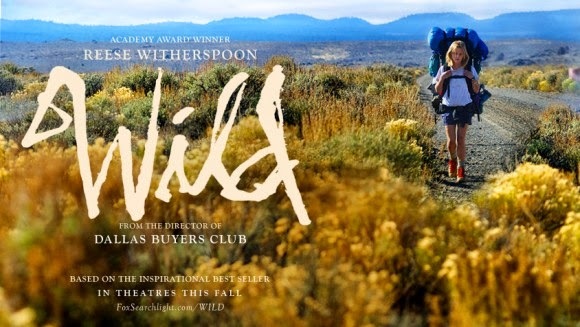 The story of her trek on the Pacific Crest Trail, it’s also the story of coming of age and Cheryl's journey out of her own heart of darkness. The book is out in paperback and it is now a major motion picture. Perhaps part of what plagues us when we think about most issues today, is that we tend to see them in very myopic ways. The world is a more and more complex place, and yet we do the opposite of what we should do. We too often silo information or categories, or problems. We don’t always see the connections and therefore we get frustrated, because we can’t seem to solve the problems. Environmental issues are no different. 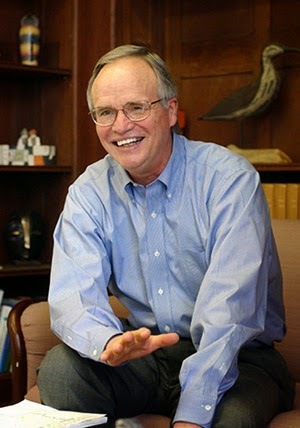 My guest, one of the fathers of the environmental movement, James "Gus" Speth, believes that when we talk about environmentalism, it’s more than the air, or the water, or the earth. That there is a holistic approach we need to take that is essential if we want to solve anything. He writes about this in the context of his own history in his memoir Angels by the River. As we listened to election results earlier this month, the one thing we heard over and over again is the slicing and dicing of the electorate. Into generations, incomes, ethnicity, etc. We also hear repeatedly about the complexity and challenges of today's multi-generational workplace. With all of this talk about division, it's perhaps worth looking at what might actually unite us. There is an answer we might find surprising, and that is technology. To paraphrase the old orange juice commercial; technology, it’s not just for Millennials anymore. In fact, the use and strategic advantage of technology may be the most unifying forces for all us. 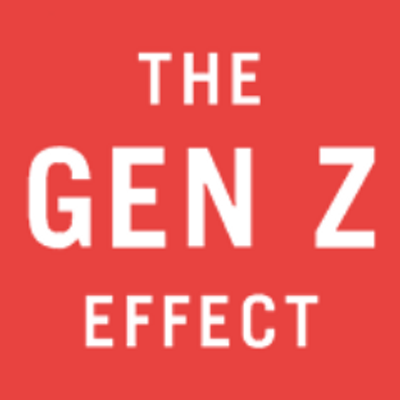 That's the conclusion reached by Thomas Koulopoulos and Dan Keldsen in The Gen Z Effect: The Six Forces Shaping the Future of Business . Still success to be sustainable and replicable, both personal and professional, has to be more than habit or behavior, or just data. In a world in which changes take place so quickly, in which workforce diversity both generational and ethnic, is so varied, the traditional solutions to problems are not always applicable. That’s why design and intentions are so important as tools for driving both leaders and their organizations. One of the foundations of the changing nature of education, is the idea of deeper learning. Direct, hands on mastery of content, though solving real world problems in a collaborative way. This has created dramatic results in all academic areas. But it’s also something that can take place right at home. That’s what best selling author Mark Kurlansky did with his daughter Talia. 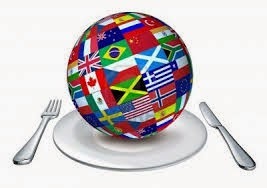 They combined culture, geography, chemistry and all in the context of preparing delicious meals. Now they share their efforts in International Night: A Father and Daughter Cook Their Way Around the World. To dream the impossible dream has been the great engine of progress in the world. From the early explorers, to scientists and engineers, to man's quest to explore the planets. The story of exploration is the story of mankind. When John Kennedy laid down the predicate of reaching the moon by the end of a decade, he defined for the whole county that kind of clear goal that also drives individuals forward. 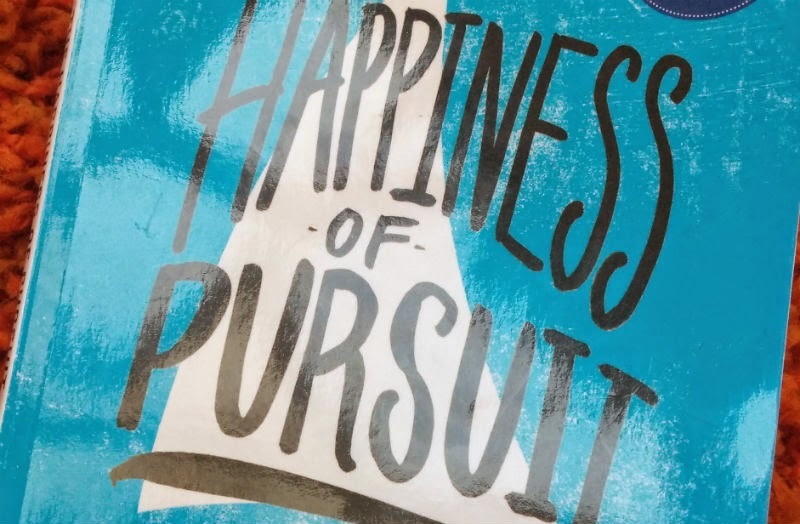 The story of some of these individuals, along with his own quest, is what Chris Guillebeau writes about in The Happiness of Pursuit: Finding the Quest That Will Bring Purpose to Your Life . Remembering the early days of the cell of phone, we all remember, “can you hear me now.” For most of us this was modern nuisance. 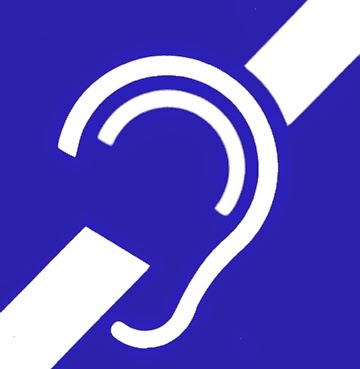 But for some, those that are hearing impaired, or profoundly deaf, those words have far greater meaning. While much progress has been made in the technology, treatment and study of deafness, we are just beginning to understand the broader implications, with respect to brain development, literacy and the very ideas surrounding the acquisition of language. This is the world that Lydia Denworth became immersed in with her son Alex. She talks about that experience in I Can Hear You Whisper: An Intimate Journey through the Science of Sound and Language . If the past 30 years of television has been about anything, it’s been about specialization. While ESPN was the leader and Granddaddy of specialty television programming, you can now watch nothing but Sci Fi, or old movies, or cartoons, and of course food. Food programming, like sports has had a cultural impact far beyond the screen. The Food Network, like ESPN, has both shaped our perceptions and married it with our culture in ways that gives us both celebrities and food. What better combination for 21st Century America. How many scandals can we understand at once? 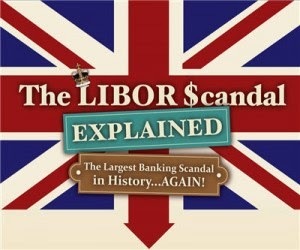 If you’ve ever borrowed money for anything, from a mortgage to a student loan, you’ve been impacted by LIBOR. The London Interbank Offered Rate. The global standard for interest rates. The problem is, like so many other recent aspects of our financial markets, we’ve now come to find that it’s been rigged. That a system built on trust, has been anything but trustworthy. That the gentlemanly system of the London bankers has joined the international movement toward greed, and dishonesty, at the expense of average citizens around the world. This story has been reported extensively by financial reporter Erin Arvedlund. Now she pulls it all together in her new book Open Secret: The Global Banking Conspiracy That Swindled Investors Out of Billions . Just how absurd is life on the West Bank?